I love coming down to Cornwall for my days at Falmouth campus, to stay in our old dearly loved caravan, conveniently placed on a friends farm very close to college. 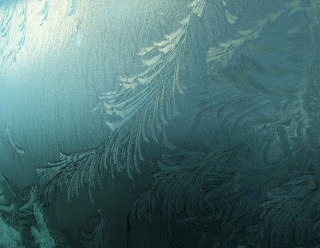 Last week, however, I awoke during the night, absolutely frozen, my nose like a strawberry and face painful. 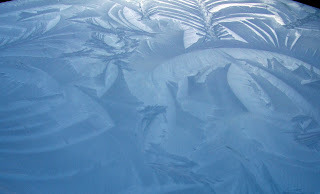 Jazzie, our Standard Poodle, was shivering and I noticed beautiful ice patterns on the inside of the caravan windows. I could not move; I was just too cold. 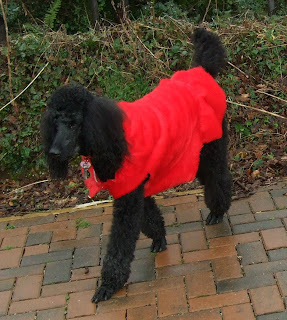 (Jazzie now has lovely scarlet fluffy 'jamas' and her own duvet). 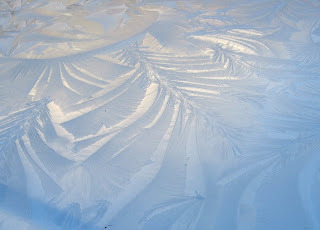 Eventually, I sallied forth, wandering into the house to have a shower, and there were those same stunning patterns on my car. The roof. It was like a mystical jungle scene. 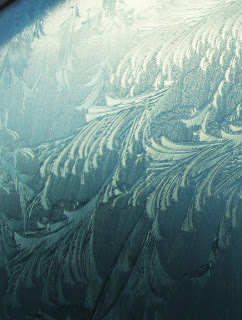 The bonnet reminded me of a scene from a fairy tale where the Ice Queen may appear to claim my frozen Soul. 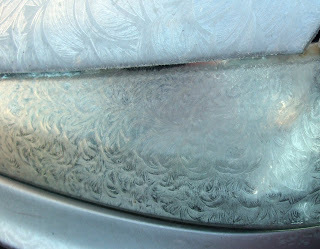 Even my headlights looked as if they had had an ice perm. And the windows were works of art. 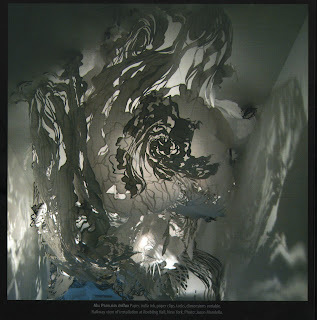 Browsing in the library later on, I came across the work of Jennifer Falck Linssen. 'Crest'. Archival cotton paper, hand-carved in Katagami style, aluminium, waxed linen, indigo, paint, varnish, stitching. Photo: Tim Benko. 'Spirit of the Sea' and 'Anew'. As above. I couldn't help feeling that she had been in my caravan! 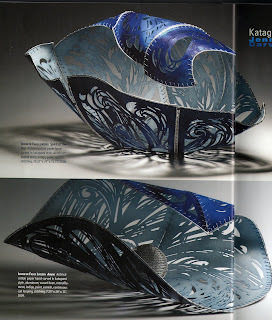 Her pieces are a form of 'Katagami', where stencils are cut and used for creating intricate kimono patterns. 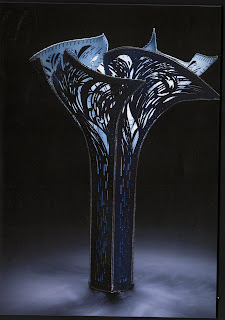 Linssen uses the stencils themselves to make her sculptural forms. The patterns are all hand cut. 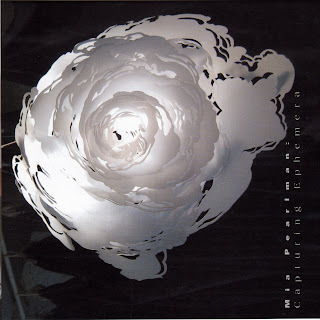 And the paper cutting of Mia Pearlman. All from 'Surface Design Magazine', 'Creative Exploration of Fiber and Fabric, Fall 2009.